Jubilee Refreshment Rooms on Sowerby Bridge Railway Station HX6 3AB hold a number of transport related events through the year. 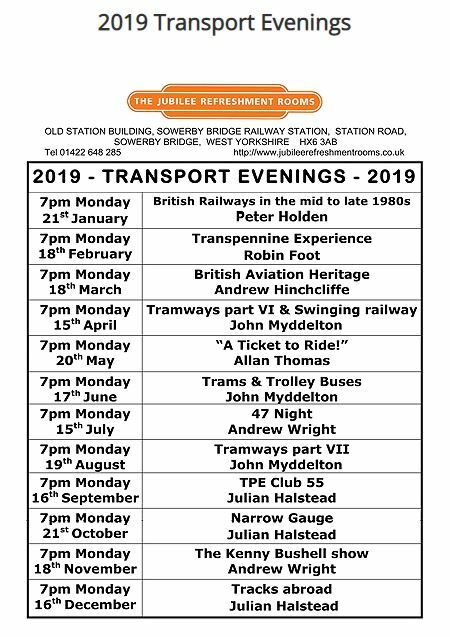 The next will be on Monday 15 April, 7:00pm where John Myddelton will be speaking about Tramways and a swinging railway. This entry was posted in Apr, Aug, Dec, Events, July, June, May, Nov, Oct, Sep, Sowerby Bridge and tagged Jubilee Rooms. Regular clubs for disabled children and their siblings that are fun, creative and completely FREE! Clubs start with a short family quest to get you inspired before you get stuck in to a creative activity, run by our trained, experienced Enablers, who will make sure that the activities are accessible to all. Children with any disability are welcome at any club, *except for three sessions which are for children with autism only. Oh, and did we mention that they’re FREE! If you would like to attend a club that is fully booked please use the email form to let us know. We will contact you if space becomes available. This entry was posted in Apr, Aug, Events, July, June, May, Young People. 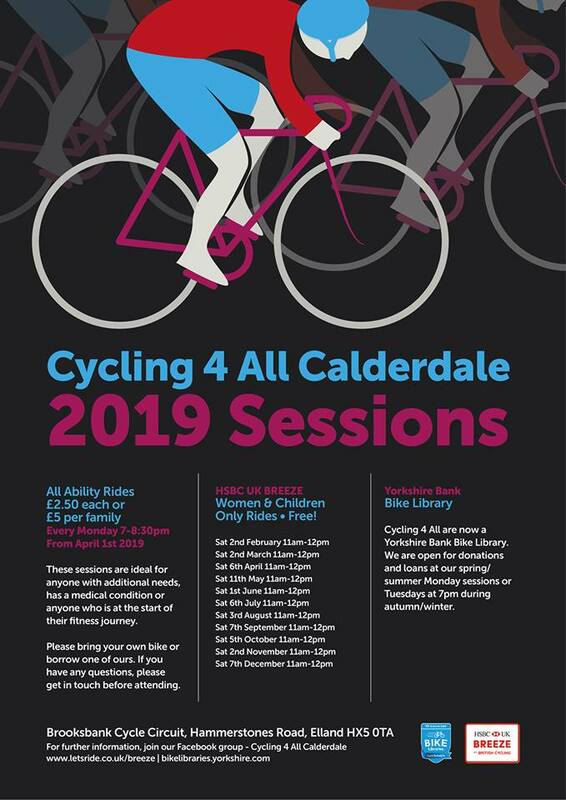 Cycling 4 All sessions start again on Monday 1st April 2019 at Brooksbank Cycle Circuit Hammerstones ROad, ELlnad, HX5 0TA. Just £5 per family! Children under 16 must be accompanied on the track by a parent/carer. This entry was posted in Apr, Aug, Dec, Elland, Events, Health, July, June, May, Nov, Oct, Sep.
Sunday 3 March – The North Side of Elland. 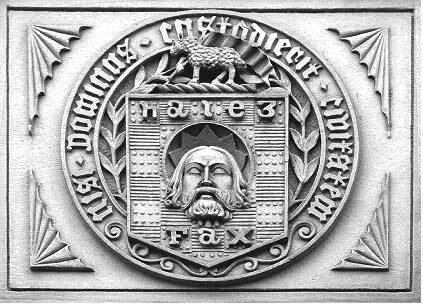 Elland goes back to at least 1086 yet in 1760 much of the land was open land. In the century that followed, the arrival of canal, railway, new roads, industry and more housing changed things radically. 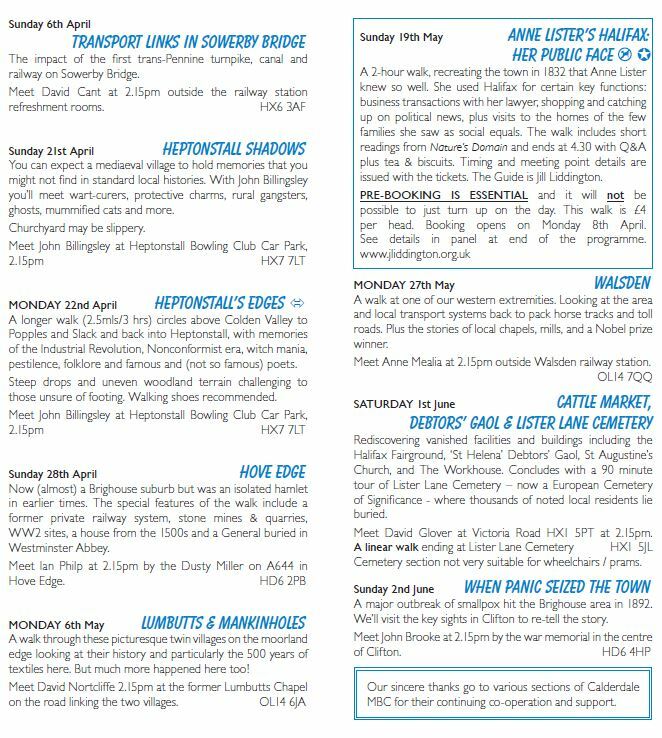 Meet Ian Philp at 1:30pm by St. Mary’s Parish Church, HX5 0BW for the latest Calderdale Heritage Walk. 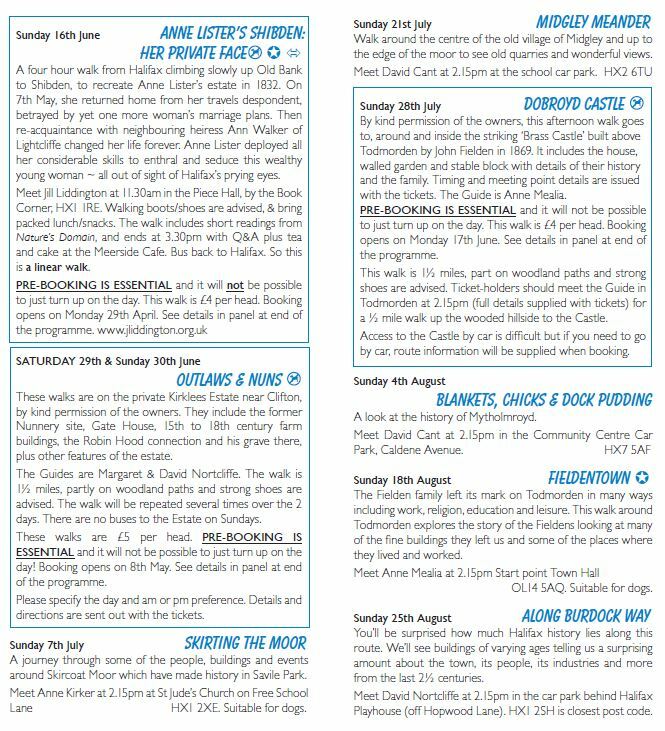 This entry was posted in Apr, Aug, Events, Health, July, June, May, Oct, Sep and tagged Calderdale Heritage Walks. There are also grant opportunities from the Postcode Community Trust and the People’s Postcode Trust with the same dates for the funding rounds. Lower Valley Friday Flyer 31 August – OUT NOW!! This entry was posted in Aug, Get Involved / Have Your Say and tagged Friday Flyer. 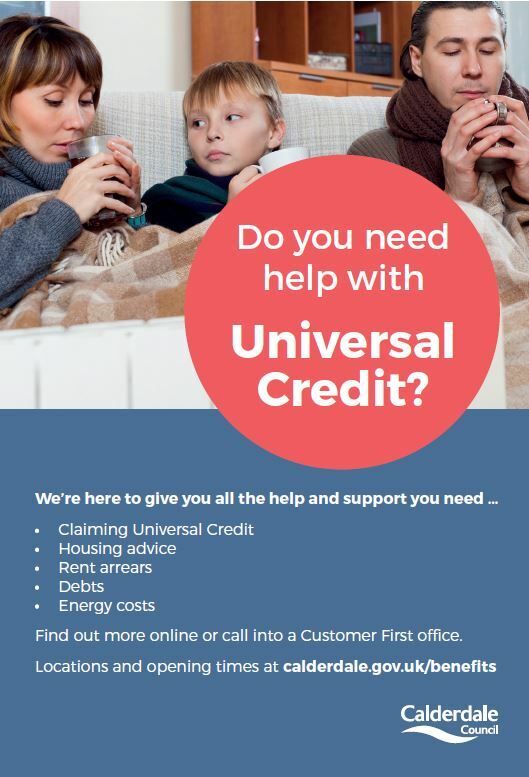 Calderdale Council would like to remind people that they can offer support with applying for Universal Credit by visiting a Customer First office. Important note: Complete our online self-referral form, if you have already claimed Universal Credit and you need help using the account or with budgeting. An advisor will contact you to arrange an appointment. This entry was posted in Aug, Sep and tagged Calderdale Council. Lower Valley Friday Flyer 24 August – OUT NOW!! A weekend of celebration this August Bank Holiday with The Piece Hall and Oxjam Sowerby Bridge Festival. There’s Live Music from a brilliant selection of artists and some great food vendors for you to try. All in the name of a good cause! 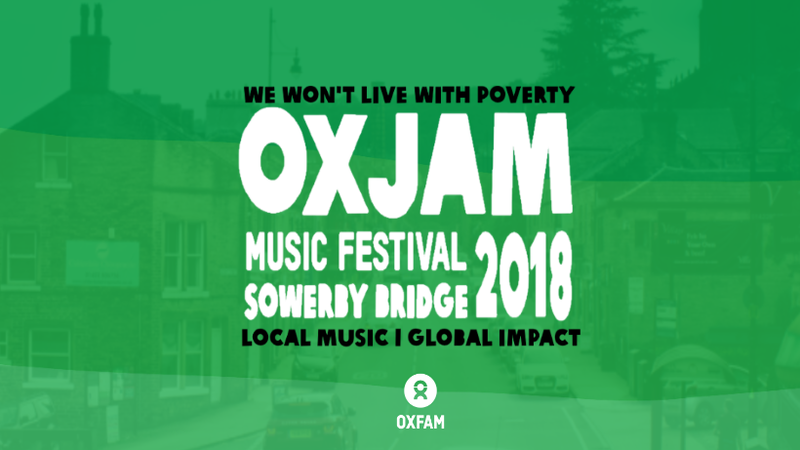 The festival team will be about, to answer questions about Oxjam Sowerby Bridge Festival 2018 and their work on behalf of Oxfam. Keep an eye on the Facebook Event for more announcements on the run up! Food from Dirty Franks and The Horsebox Pizza Company Ltd.
FREE Entry! Enjoy the music, try the food and donate if you can! This entry was posted in Aug, Events and tagged Oxjam Music Festival, Piece Hall. 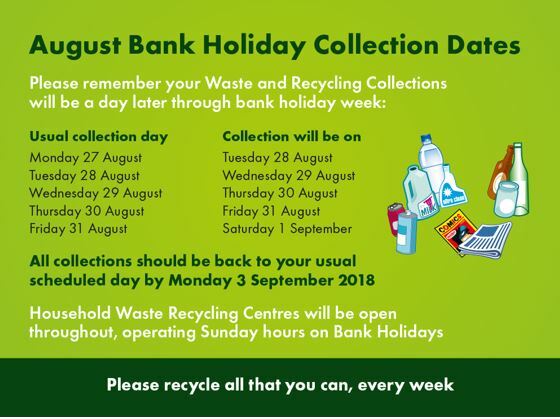 This entry was posted in Aug and tagged Calderdale Council, Waste Collection.